A Michigan Secretary of State hold on your driver’s license prevents you from getting a license in another state. 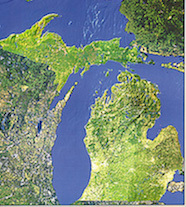 This simple fact derails a lot of plans, and frustrates a lot of former Michiganders. A huge part of my practice as a Michigan driver’s license restoration lawyer is getting rid of these Michigan “holds” on the driving records of people who have moved to another state. About half of the people who come to me have previously tried to do this on their own, by what is called an “administrative review,” and been denied. This isn’t surprising once you realize the Michigan Secretary of State itself admits that 3 out of 4 administrative review appeals lose. In this article, I want to briefly examine how and why I can change that outcome, and get Michigan to step aside so that you can slide a valid license back into your wallet – guaranteed. The license restoration/clearance process is complicated by what I call “a million little rules.” If you’ve already lost, then you know that all too well. Behind all of those rules, however, there are 2 main issues that determine the success of a license appeal: First, you have to prove by “clear and convincing evidence” (good luck doing that with a mail-in appeal) that your alcohol problem is “under control,” and second (and much more important), that it is “likely to remain under control.” I have written rather extensively about what this means, and, while I won’t go into it here, you need a clear understanding of what that legally means, or at least have a lawyer who does, to have any chance of winning. Yet for as dense as these issues can seem, at the end of the day they translate to the simple reality that you must be genuinely sober, and have to the commitment and the tools to remain that way. You must really have quit drinking. If you have, I can almost certainly get you back on the road. Unfortunately, this means that if you live out of state, you’ll have to come back to Michigan to see me, and then come back a second time to attend your hearing with me. That’s 2 necessary trips back to Michigan – hardly the worst thing to have to do to clean up this kind of mess, but generally necessary when you’re serious about getting your license back. A good way to illustrate my point comes from an email I recently received. The sender, who lives in Florida, was seeking information about how to proceed with his administrative appeal. I replied that I don’t handle those, and he thereafter inquired back about the credentials or qualifications necessary for a person to complete the required substance abuse evaluation. I helped him as best I could, but if you don’t even know what kind of qualifications are necessary for the person to complete your substance abuse form – and those that are not – how can you plan to win your license appeal without a lot of luck? It begins there, at the substance abuse evaluation. This is really the foundation of a driver’s license clearance or restoration case, and unless that evaluation is essentially watertight, it will sink, and sink your chances of clearing the Michigan hold on your driving record along with it. I exercise complete control over this facet of the process because a client first meets with me for about 3 hours before he or she ever undergoes the substance abuse evaluation. In the context of my out-of-state cases, this means that I will meet with the client in the morning, and that he or she will leave my office go the few blocks to the local clinic I most often use to complete these evaluations in the afternoon. Whatever else, we can make this as convenient as possible, so that the client goes home with everything done. Beyond the substance abuse evaluation, a person must also submit at least 3 letters of support in order to file the case. I require at least 4 before I’ll file the case. The letters are critically important; they are called “testimonial letters” because they carry the weight of testimony. I could write a book about letters of support. As it turns out, I make SUBSTANTIAL edits and revisions to nearly every letter that becomes part of my cases. This ties in with how and why I guarantee a win in every license clearance and restoration case I take; I have control over every aspect of what I submit, and I make sure that everything is just right. The key here is that the support letters must address and explain certain things. Unfortunately for those that don’t know better, the fact that a person has had a hard time without a license and/or that her or she “deserves” one has no evidentiary or testimonial value in the context of a license appeal. The state doesn’t care that it’s been tough without a license. Remember, the issues under consideration are that your alcohol problem is under control and that it is likely to remain under control. Being a good person who has suffered because you can’t drive means absolutely nothing in the context of a license appeal. A colleague of mine calls these “good guy letters,” and in terms of o helping win a license appeal case, they are completely worthless. The final, and probably most important reason why doing things the right way (meaning returning to Michigan for a “full” appeal) rather than the quick way, via an administrative review, (besides the fact that only 1 out of 4 of them ever wins, whereas I offer a guaranteed win) is that coming back means you will have a live, in-person hearing in front of the hearing officer who will ultimately decide your case. I fundamentally believe in live hearings. Remember, the rule governing license appeals requires that you prove your case by “clear and convincing evidence.” That means that you cannot leave the hearing officer with ANY unanswered questions. Given that the hearing is all about questions (and answers), is it any wonder why 75% of all administrative reviews are denied? If the hearing officer wants to ask about something, or needs some clarification, or more information, he or she just puts the question to you at a live hearing. When you’re not there, no questions can be answered because none can be asked. There, in the blink of an eye, goes your appeal. This is why, no matter how much more profitable it would be for me to handle a case this way, without the hearing, I will never do it. In the real world, an administrative appeal is a sucker’s bet. The bottom line is that lots of people are going to blunder into the administrative review process because they think they will be the exception to the rule and will win that sucker’s bet. This is why casinos exist, after all. If you are determined to try on your own, then by all means, go for it. If (and, most likely, when) things don’t work out as planned, however, then remember the old saying that the definition of insanity is doing the same thing over and over again and expecting a different result. If you lose, and you want a different result the next time you try to get your driving record cleared, or, if you’d prefer the comfort of a guaranteed win and want to get back on the road this year, rather than next, then call my office and we’ll start planning to get you back on the road.